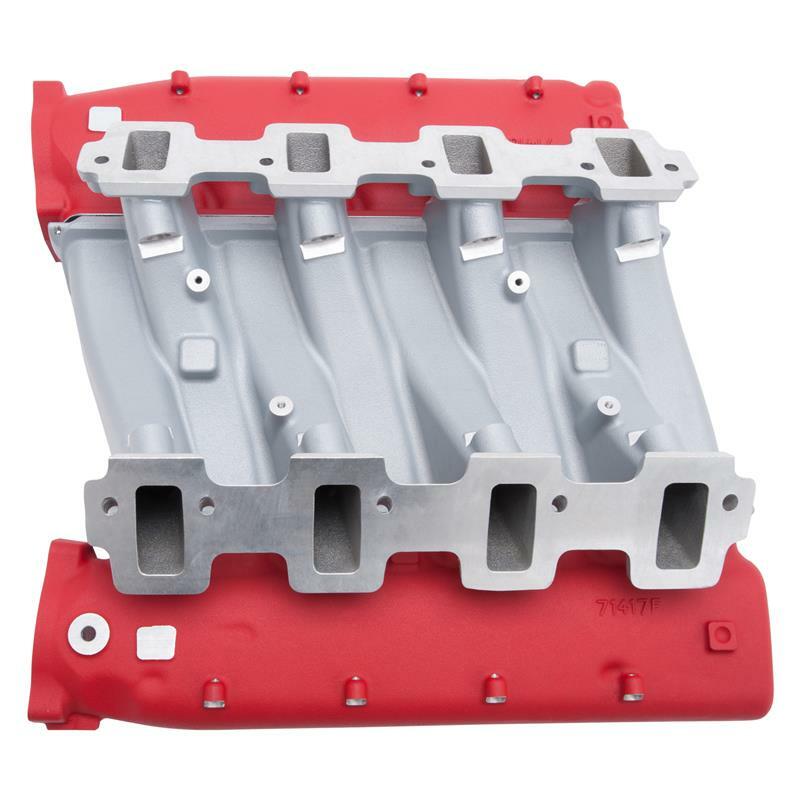 Edelbrock Intake Manifold - Cross-Ram - Dezod Motorsports Inc - Home of the automotive performance enthusiast since 2002. Designed for Gen IV engines with LS3, L92 and L76 rectangular port cylinder heads. The Cross-Ram LS3 is ideal for anybody looking to combine great looks and outstanding performance between 1,500 – 7,000 rpm. The unique dual-plenum design features 13” long runners with flanges that will accept two, 90mm GM LS3 throttle bodies. The unique cross-ram dual-plenum design is ideal for twin turbo applications. When matched with high flowing air filters and inlet tubes, the dual-plenum system gives neck-snapping performance with plenty of options for engine builders and tuners. Dyno testing resulted with gains of 27 horsepower and 28 ft-lbs. of torque over a popular aftermarket manifold.